Haven't hunted near here for 15 years. 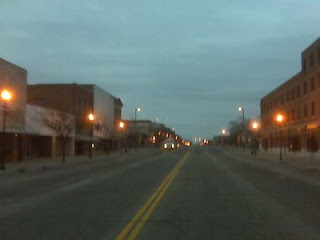 I noticed while heading out that downtowns pretty much all look the same out here. It's comforting and something you can count on. Until the Super Walmart shows up, I guess. I'll have to change along with America, since I found out shopping is patriotic and what better place to shop than the Great Wall of Mart.